Rankin/Bass studios created a curiously materialistic, yet relentlessly classic take on Rudolph the Red-Nosed Reindeer. Not long after the television established itself as a common sight in American homes in the 1960s, the annual Christmas special became a seasonal staple of manufactured yule-tide cheer. Faced with the prospect of spending unwanted time with unwanted relatives, Americans found that they could bear the unbearable December reunions by gathering around the glowing cube of faux-escapism and enduring the company of kith and kin while drowning in the cheerful seasonal bliss embodied in what we now consider cherished holiday tv classics. Classics such as the beloved stop-motion chestnut, Rudolph the Red-Nosed Reindeer. Produced by Rankin/Bass productions, Rudolph the Red-Nosed Reindeer first aired on December 6, 1964, and in the 51 years since this original airing, it’s become a well-established part of many viewers’ Christmas traditions. The special eventually became a cultural icon, but there’s equal parts darkness and light in this seemingly charming holiday tale. While Rudolph is undoubtedly an enduring tv classic, it’s also a disturbing showcase of isolationism, unrestricted capitalism, patriarchy, sexism, and stifling conformity overcome not by the gifts of uncompromised individuality, but by the cajoled assimilation of thoughtless materialism. Lest you think that the character of Rudolph is one of those yuletide legends that spans the centuries, the story actually has fairly recent roots in 20th-century advertising. In 1939, a 34-year old copywriter named Robert L. May invented the flame-schnozed Cervidae specifically for his employer, Chicago-based department store Montgomery Ward. The store tasked May with creating a holiday story specifically for the purpose of selling its on-site produced coloring books. The tale that May created is the story of a reindeer born with an abnormally luminescent nose that shone red as a brake light, a feature that caused the other reindeer who pulled Santa Claus’ sleigh to ostracize the non-conforming buck. This rejection lasted until a fortuitous Christmas Eve snowstorm opened Santa’s eyes to Rudolph’s potential as a living beacon in the night, thereby culminating in a heart-rending lesson on the redemptive powers of individuality. Montgomery Ward gave out May’s 32-page illustrated booklet as a free gift to cherubic rug rats who visited its 620 store locations, and the book was a smash hit, as youngsters snapped up over 2 million copies in 1939. 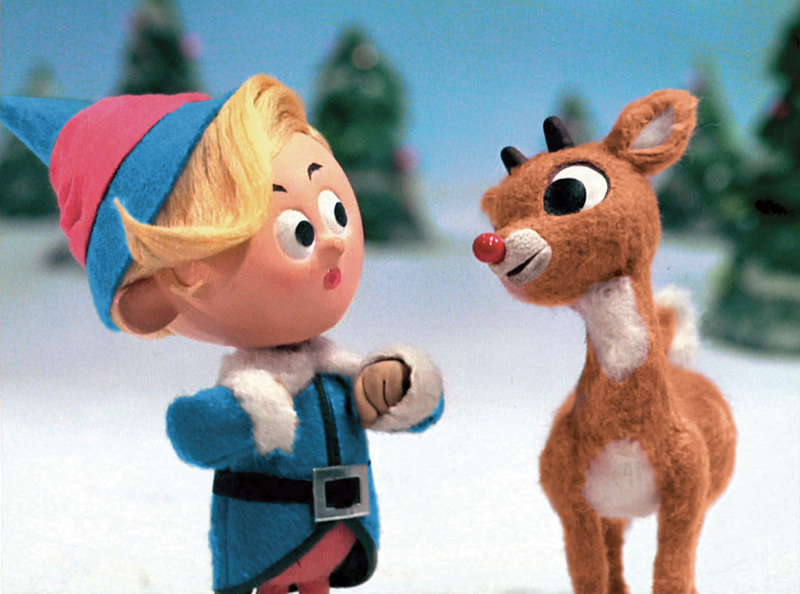 Despite the ubiquity of May’s coloring book, most people are even more familiar with the 1964 Rankin/Bass stop-motion adaptation of the Rudolph story, which kept the basic premise of a socially ostracized reindeer with a malformed beak but added a host of supporting characters that include Hermey, the elf who’d rather be a dentist than slave away in Santa’s toy sweatshop; Yukon Cornelius, the hirsute prospector whose literal taste for precious metals likely brought on a slow, agonizing death by gold poisoning; Clarice, the bow-topped lady reindeer who falls instantly for Rudolph’s “nonconformity;” the Abominable Snow Monster, a savage, bipedal hominid who picks his choppers with reindeer and elf rib cages; the Island of Misfit Toys, where rejected playthings go to contemplate suicide, and Old Kris Kringle himself, a cranky, boorish, unappreciative lout who lords over his North Pole toy operation with a red-gloved iron fist. 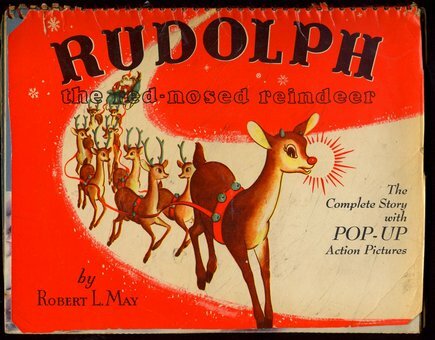 An original copy of Robert L. May’s 1939 Rudolph the Red-Nosed Reindeer coloring book. A story created to get people into the joyous spirit of holiday consumption. American screenwriter Romeo Muller wrote the screenplay for the Rankin/Bass Rudolph tv special, and while his creation still stands as a Christmas classic, it’s also a true product of its own time; a vivid interpretation of late post-war boom America in which patriarchy is still a deeply embedded system of social organization and crass, unthinking capitalist consumption is the only reward for a life well-lived in blind conformity to a relentlessly materialistic status quo. Consider Rudolph. Not long after he’s born, the young buck’s glowing red nose becomes a source of controversy. Rudolph’s father, Donner, is an unsympathetic jerk who tries to hide his son’s “blinking beacon” from Santa Claus. “Great bouncing icebergs!” Santa exclaims upon seeing Rudolph’s snout. Embarrassed by his son’s deformity, Donner assures Santa that the problem will go away eventually. In a later scene, a slightly older Rudolph insists that covering up his nose in black mud is uncomfortable and unflattering. “YOU’LL LIKE IT AND WEAR IT! !” Donner barks back, claiming that “Santa can’t object to you now.” Thus, these early scenes set the major themes that run through the rest of the special: Rudolph and other “misfits” must conform to existing social expectations at all costs or else risk ostracization, exclusion, and rejection, even from the closest of family members. The tv special then moves beyond Rudolph towards a subplot with the same themes. Deep in the bowels of Santa’s gender-segregated workshop, we meet Hermey, a good-natured elf with a serious manic-depressive streak triggered by the mortifying shame with which he lives on a daily basis: he doesn’t like to make toys. Instead, Hermey wants to specialize in dental surgery, a seemingly benign aspiration that nonetheless becomes a point of outrage thanks to his megalomanical shop floor supervisor, Boss Elf. When Hermey confides to Boss Elf that he’s “not happy in my work,” the apoplectic Boss turns the outrage dial to 11, bellowing to Hermey, “now, listen, you. You’re an elf, and elves make toys. Now get to work!” A depressed Hermey endures the cruel mockery of his fellow elves before escaping out the workshop’s unguarded back window, vowing to never again slave over the production of another doll or set of building blocks. Like Rudolph, Hermey is doomed by biological and cultural determinism. Just as Rudolph is expected to fulfil sleigh-pulling duties because he was born a reindeer, so is Hermey expected to make toys because he was born into elfdom. The constrained social shibboleths of Christmas Town reinforce the elf and reindeer’s biologically determined status: because elves must make toys and reindeer must lead sleighs, social conventions must follow suit, forming a suffocating state of combined nature and nurture conformity. To break this conformity is to face certain rejection. To question it is to invoke merciless rebuke. 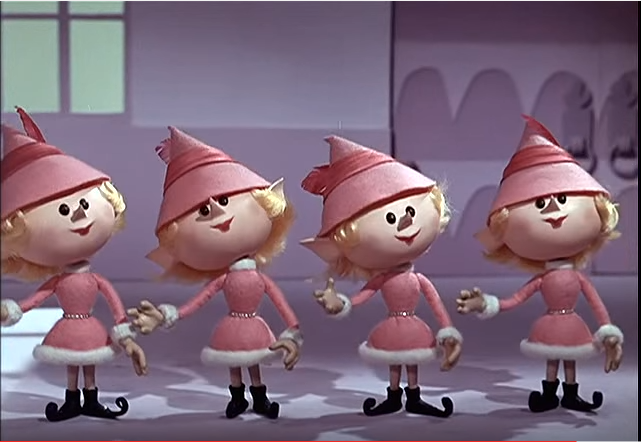 The amorphous pink nightmare of Christmas Town’s uniform female elves. Man’s work. Because physical activity is beyond the female brain’s capacity. Christmas Town in this tv special is rife with gender division. Besides Clarice, the only other even remotely significant female character is Mrs. Claus (like Rudolph’s mother, she doesn’t have a first name, unless you count “Mama,” an odd term for a woman who’s clearly childless). Mrs. Claus is the classic nagging ball-and-chain whose only purpose seems to be to kick her deadbeat husband into gear for his annual Christmas sleigh run. As for the rest of Christmas Town’s female characters? Well, there’s the elf choir, the female members of which are all dressed in pink and never make toys in the workshop. Indeed, their sole purpose seems to be to sing pretty songs and breed to maintain a steady elf labor supply. 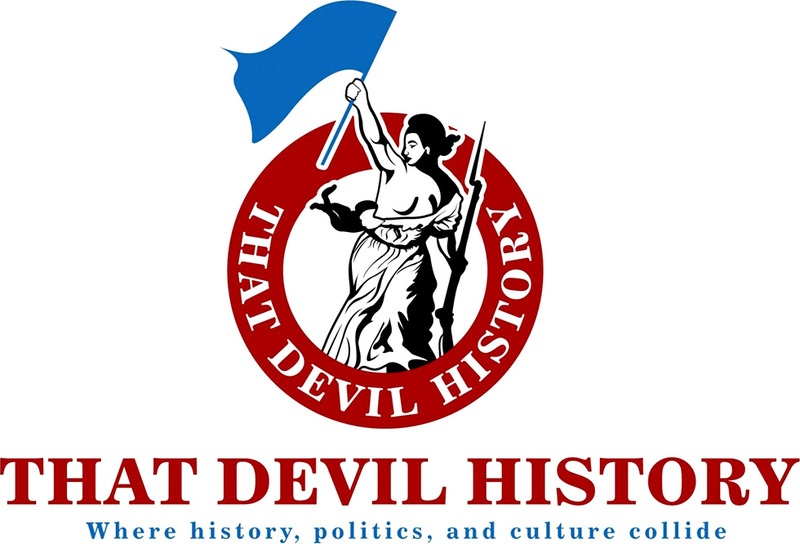 The 1960s were a time when the radical idea of women as permanent workplace fixtures threatened many Americans’ clear-cut sense of unequal gender division, and in response, Rankin/Bass seems to have created a reactionary world that halted gender equality and buried Second-Wave Feminism under a mountain of gender-segregated ice. Despite their rejection in Christmas Town, Rudolph and Hermey find supporters amidst the frozen whiteness of the North Pole’s wilderness. They meet the ginger-bearded, relentlessly enthusiastic prospector Yukon Cornelius, a man obsessed with raw material extraction and the wealth that it entails. Yukon’s habit of tonguing his ice pick is a bit odd, but at least he accepts Rudolph and Hermey for who they are. Yukon even accompanies his new pals to the mysterious Island of Misfit Toys, a sort of internment camp for the production line’s defective sentient playthings. The misfits toys only want to be “loved by a child,” or, in more bloodless terms, to be successful consumer products. Therein lies the key to the misfits’ tragically hollow redemption narrative: they cease to be outcasts only when they tacitly embrace their predetermined destiny to acquiesce to a lifetime of servitude, either as mechanized producers in Santa’s materialistic toy making empire, or as consumer products themselves. Rudolph the Red-Nosed Reindeer culminates in the reaffirmation of institutional patriarchy and mass-materialist production and delivery. Rudolph and Hermey return to Christmas Town, where their former tormentors now embrace the misfits with open arms. Most crucially, Santa Claus himself apologizes for being a holly jolly tool to Rudolph, and offers the formerly ostracized reindeer a chance to lead his sleigh through a blanketing snowstorm that threatens to cancel Christmas. Even Hermey appears redeemed after the ever-crotchety Boss Elf agrees to let the misfit open up a new dentist office. But what on first glance appears to be the heartwarming triumph of individual talent and personality over social conformity is actually a cautious warning about how capitalist mass production ensnares individuals and turns them into pawns in Christmas Towns’s never-ending production line, in which social acceptance necessitates becoming a cog in Santa’s toy factory machine. Rudolph gains the acceptance of his peers, but only if he dedicates himself to a lifetime of being shackled to bell-studded reins, forced to circle the earth every year in a purgatorial cycle of mass-produced consumer gift delivery. Hermey, while seemingly happy, eventually finds that the romance of dental work wears off quickly, as he spends the rest of his life prying cavities out of teeth made rotten by Christmas Town’s multiple elf candy factories. 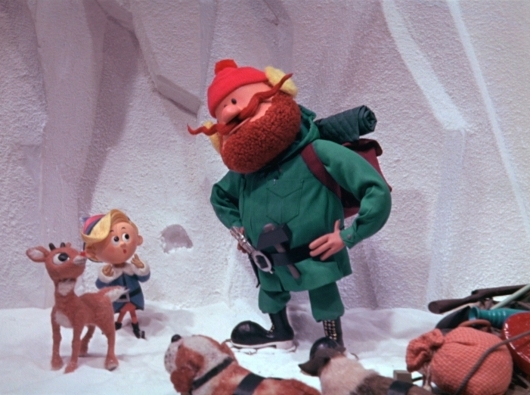 Yukon Cornelius, who shows up alive and well in Christmas Town alongside the newly tamed Bumble Snow Monster, continues to search in vain for mineral wealth that never quite materializes, his quest for extraction industry success the ultimate fool’s (gold) errand. Even the snow monster suffers: having been literally defanged by the Hermey the dental entrepreneur, the entirety of his identity is now defined by his ability to perform the purely utilitarian task of topping a Christmas tree. The seeming triumph of all of these misfits is cold comfort in a world where one’s service to the toy-making machine becomes indistinguishable from one’s identity itself. Thus, what has masqueraded for so many decades as admittedly entertaining holiday classic is also a rumination over the ways that market production and materialist consumption dictate our personalities, even those we think of as “different from the rest.” The vision of a post-war 1960s American society as suggested by Rankin/Bass is a society in which we are all misfits, forever trapped in an endless cycle of consumption, lorded over by our basest need to fit in at any cost, constrained by unequal gender divisions, and forever satiated by the shimmering bow that sits atop the latest tinsel-wrapped box delivered by a merciless, bearded toy factory CEO. A Merry Christmas indeed! * Note: The preceding anti-capitalist cultural examination of the Rankin/Bass production of Rudolph the Red-Nosed Reindeer should be read with tongue firmly planted in cheek.